There's a recipe making the Internet rounds these days for 6-minute brownies cooked in the microwave. When it comes to cooking, taking shortcuts in many instances is an invitation to disaster generally, but disaster always seems particularly imminent when it comes to involving the microwave. Microwave cookbooks are largely (and rightly) banished to their fate as garage sale novelties and used bookstore castoffs. At the same times, there's just something about brownies. They might be near the top of the dessert throne, in part because they're so simple: a handful of ingredients, stirred until just combined, but maddeningly difficult to get to come out perfectly. There has to be just that balance between goo and bite. Even most professional bakeries crank out dry, listless, not chocolatey-enough brownies and try to mask their flaws with toppings like frosting or cream cheese. The paste-like batter for 6-minute microwave brownies. This is where the appeal of six-minute brownies comes. 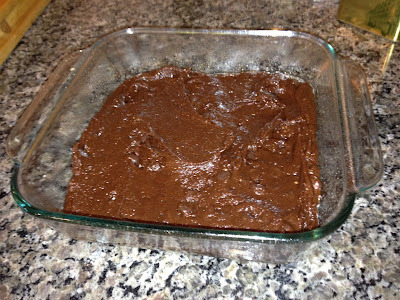 They're seductively easy and eliminate the normal brownie wait of 35 or 45 minutes of baking. Impulse indulgence, with little mess. This is America. But a microwave couldn't possibly be the source of moist, tasty brownies. Could it? But what's the worst that could happen? A tragic loss of 12 tablespoons of butter, sure, but maybe ten minutes of your life? Minimal risk considering the delicious jackpot of the potential reward. Here's the bottom line: the recipe is legit. There's a genius about it. The amount of butter and sugar gives the batter a consistency similar to paste. This high moisture content guards against drying out. A little Blue Bell vanilla. Served hot. Six minutes to heaven. There are, however, two important refinements to take when making these miracle brownies. First, use an 8x8 pan. This further protects the edges from drying out. Second, the recipe does not call for salt. Use some -- a quarter or half teaspoon should suffice. But without it, the chocolate will seem dull. 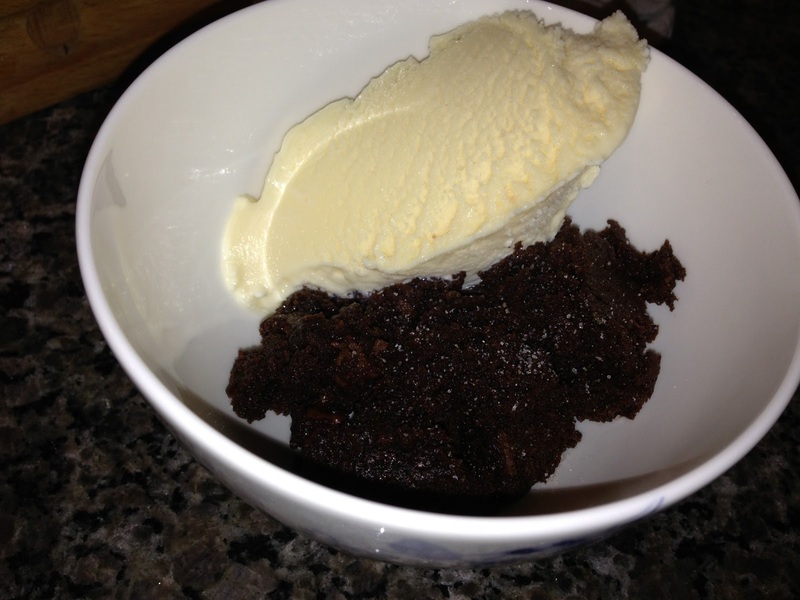 The end result is a fast and indulgent dessert that is made to accompany Blue Bell ice cream. It's pretty darn tasty indeed. But, as the final line of the recipe suggests, these brownies are best served warm. Once they hit room temperature, the edges do show signs of drying out. The next day, while the flavor is still good -- how could that much butter result in full flavor betrayal? -- the texture is less compelling. So are microwaves completely useless as a primary method of cooking? Quite possibly. Because these brownies might be the exception that proves the rule.